This programme for staff can lead to recognition with the Higher Education Academy at Descriptor 2, Fellow, of the UK Professional Standards Framework (UKPSF). The first two of the three 20-credit modules on the programme form the Newcastle Teaching Award (NTA). This blended learning programme provides training to postgraduate researchers, research associates and other part-time staff members who have infrequent teaching responsibilities. Support is available for staff to obtain recognition through this scheme which is accredited by the Advance HE. Our internal Experiential Route provides a flexible pathway for staff to gain HEA fellowship on the basis of their experience in teaching and supporting learning. 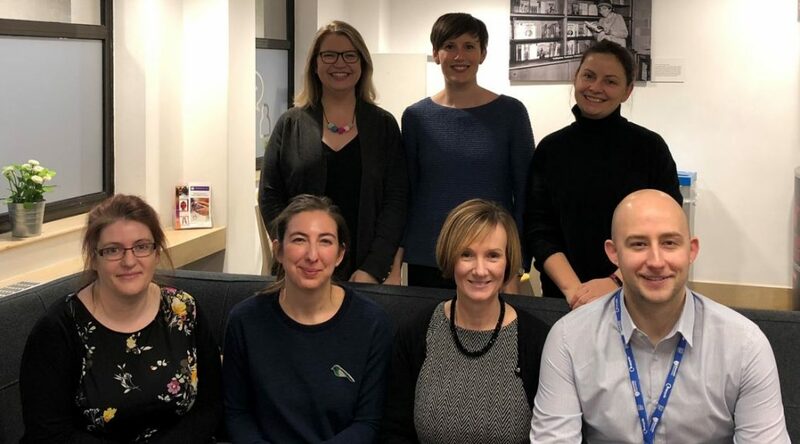 We are (front row left to right) Laura Johnstone, Jolein De Ridder, Janice Trewick, Jack Ennis, (left to right back row) Gilly Box, Sarah Levison, Liz Turnbull. Responding to the student voice, surveys, student representation and so on. Training in EvaSys for Surveys or the External Examiner system. Development of new programmes, Degree Apprenticeships or Educational Partnerships. Developing and maintaining the many policy, process, guidance documents and forms in the Quality Standards Handbook – adding to these as the University moves forward (e.g. incorporating Degree Apprenticeships). Support of various committees; University Education Committee, Taught Programme Sub-Committee, INTO Strategy Group and Cross-Faculty Education Committee. Monitoring and review processes such as Learning and Teaching Review, Annual Monitoring and Review. Governance structures such as Board of Studies activity or supporting your Student Staff Committees. Collation of key programme information such as accreditation information, management of programmes on SAP, the MOFs system and Module Catalogue. Find out full information on the conference website. Proposals should be submitted to office@seda.ac.uk by Monday 26 November 2018 at 5pm. Newcastle University staff can view the newsletter here (log in needed). Please get in touch with LTDS@ncl.ac.uk with any questions. Internationalization has become a key strategic priority in higher education (HE), posing both critical challenges and development opportunities for universities. While many HE institutions have an internationalisation strategy, approaches to internationalisation vary enormously. The number of international students and staff on roll, and the number of ‘mobile’ students and staff engaged in international research and teaching collaborations are highly regarded and prestigious indicators of quality and prestige in higher education institutions (Wihlborg and Robson, 2017). Increasingly, however, universities are seeking to develop more inclusive approaches that enable all students and staff -and particularly the non-mobile majority – to experience the underlying social, academic and intercultural learning benefits of an ‘internationalised university experience‘ (Robson, Almeida and Schartner, 2018). One of the developing areas of interest for research and practice into the internationalization of higher education is the concept of Internationalization at Home (Almeida et al., 2018). 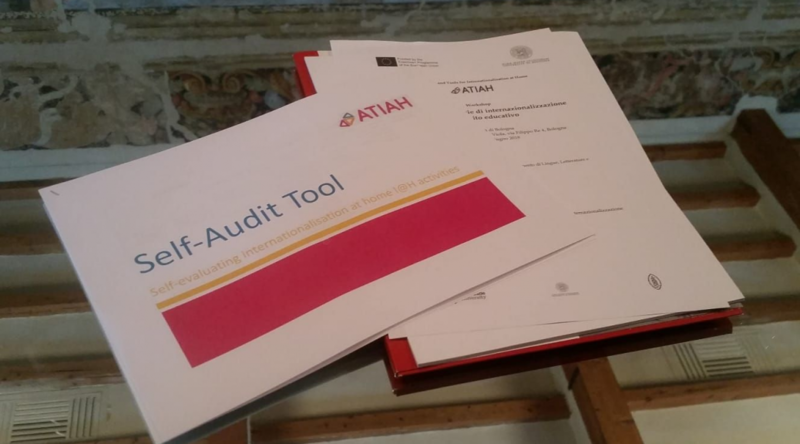 This was the focus for the Approaches and Tools for Internationalisation at Home (ATIAH) Erasmus+ Strategic Partnerships Project. Internationalisation at Home is one of the Key Priority Areas of the European Commission’s Communication “European HE in the World”: ‘Promoting internationalisation at home and digital learning’ (COM/2013/499). The eAssessment and Feedback Steering Group are currently gathering information about potential demand for online exams and in course tests in the next 5 years. We are asking all colleagues who are interested in introducing a new online exam (whether for a new module, or a change to assessment method in a current module) to complete a short online form for each potential new exam. The information collected will be used to gauge demand and assist in planning future provision. Applications are now open for the all-new Vice-Chancellor’s Education Excellence Awards – a chance to recognise the exceptional contributions of staff who teach or support students’ learning. The awards are open to all members of staff, academic and professional services, individuals and teams who have made a marked impact on enhancing our students’ educational experience. Groups of colleagues who work closely together are invited to apply for the newly-established team award.